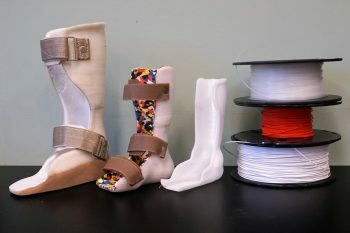 This 3D skin printer won four U of T engineers a $3,500 Canada James Dyson Award and a chance to compete for a $60,000 international prize (Photo: PrintAlive). While some of us are using the new power of 3D printers to make smartphone cases and chocolate figurines, two engineering students from the University of Toronto are using them to print functional human skin. On September 18, Arianna McAllister (IBBME MASc 1T4) and Lian Leng (MIE MASc 1T0, PhD 1T5) were named the Canadian winners of the 2014 James Dyson Award for their invention, the PrintAlive Bioprinter. 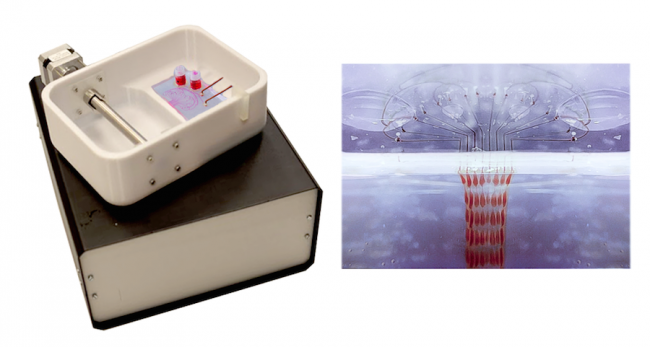 The machine – created in collaboration with Professor Axel Guenther (MIE), alumnus Boyang Zhang (ChemE PhD 1T4) and Dr. Marc Jeschke, head of Sunnybrook Hospital’s Ross Tilley Burn Centre – prints large, continuous layers of tissue that recreate natural skin. With serious burn victims, doctors typically must remove part of the patients healthy skin and graft it onto the burned area. With PrintAlive, this painful step could be eliminated. 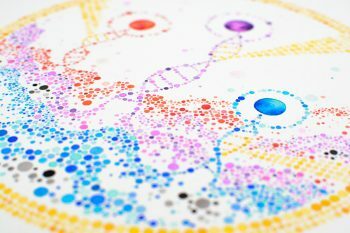 The printed product includes hair follicles, sweat glands and other human skin complexities, providing an on-demand skin graft for burn victims. No larger than an average microwave, it’s also portable and can print skin grafts on the go, potentially revolutionizing burn care in rural and developing areas around the world. Since 2008, the team has developed hundreds of design iterations to optimize how the machine operates. Recently completing a second generation, pre-commercial prototype of the machine, they hope to scale up their device from its current bench-top process to a higher volume automated process. Winning $3,500 in this leg of the competition, the duo now competes for the international James Dyson Award, which offers a prize of over $60,000 to inventors and their university, to be announced this November. The award was created by vacuum tycoon James Dyson to inspire students around the world to “design something that solves a problem”. Read more about Canada’s winning team on CBC News and BBC News.